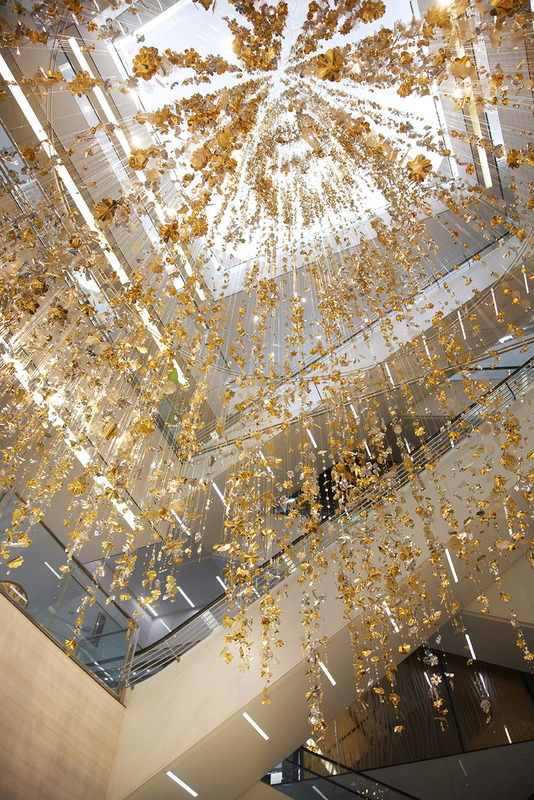 Stemming from the concept of a magical garden, this seven story mobile is comprised of thousands of reflective gold and silver butterflies, petals, and leaves interspersed with golden crystals and glass beads. 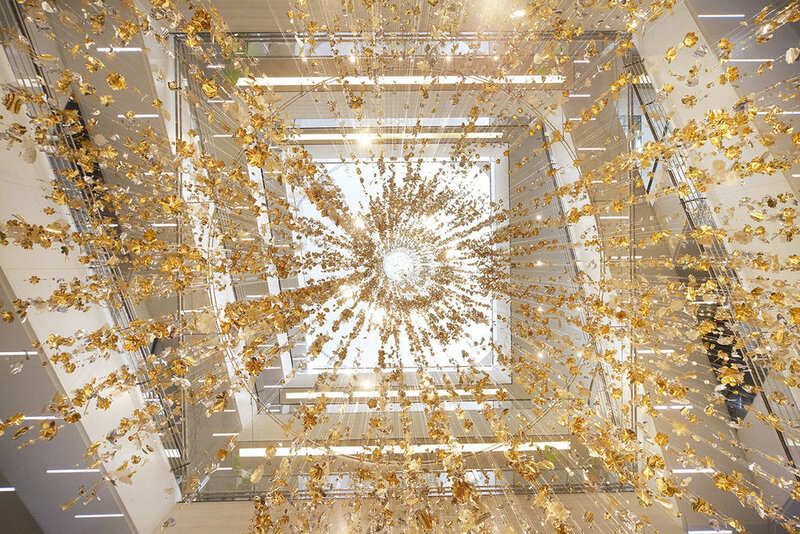 Magic Garden begins at its base as a dense foliage of petals and leaves, spiraling upwards in clusters of butterflies to culminate at the top of the atrium as a sphere. The resulting impression is a shower of femininity, fantasy, and luxury.